Sprint and Kyocera Communications have teamed up to launch a new mobile phone which named as SANYO Incognito SCP-6760. The phone has been featured with various multimedia features for enhancing multimedia experience. The phone is being featured with QWERTY keyboard for improving email and text messaging. Furthermore, the phone has been designed to run on Sprint’s EVDO network. The phone is featured with a 2.6-inch QVGA internal display. 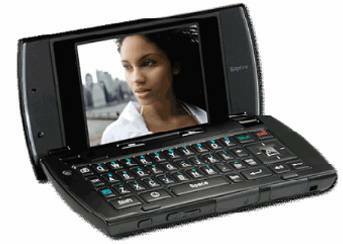 The SANYO Incognito SCP-6760 is also equipped with a 2-megapixel camera, touch sensitive keypad, advanced music and video features. It also preloaded with several social applications including Facebook, MySpace and Twitter, and integrated with Sprint’s turn-by-turn navigation. In addition, it supports expandable mircoSD card. I’m sure Incognito will be topping many holiday gift lists this season. It’s such a clean, sophisticated looking phone but there are so many features at your fingertips when you turn on the glow-through display and open the QWERTY flip. With its amazing combination of style and functionality for less than $50, it’s about as foolproof a gift idea as you’ll see this year,” remarked by Atsushi (Andy) Kodera, vice president and deputy general manager at Kyocera Communications Inc. The SANYO Incognito SCP-6760 is expected to be available on 30 November via Sprint and is priced at $50 with a two-year contract after a $50 mail-in rebate.